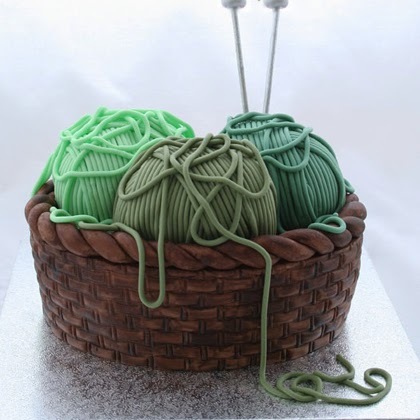 Two years ago I made a 3D knitting basket cake. The cake got so many great comments and the cake was featured on a lot of knitting blogs :-) Last year I was asked to do a tutorial on how to make the knitting basket cake by Desserts Magazines. I want to share it here aswell. It is a really fun cake to make and if you know or have a family member who just loves to knit, this cake will be a big hit.